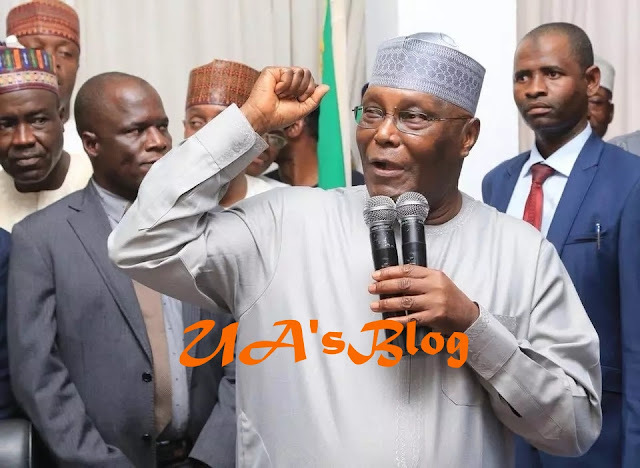 The presidential candidate of the Peoples Democratic Party, Atiku Abubakar, has said President Muhammadu Buhari would have arrested him if he were to be corrupt. Abubakar said this on Monday in reaction to a statement by the Buhari Campaign Organisation that he was corrupt. The reaction, via a press statement by the Atiku Abubakar Presidential Campaign Organisation, said confusion had set into the President’s camp with the emergence of Abubakar as the presidential candidate of the PDP. It said, however, that the statement by the Buhari Campaign Organisation, signed by its spokesman, Festus Keyamo, cannot hold waters as it is just a rehash of the old allegations not proven. The statement said: “Our attention has been drawn to a statement released by the Buhari Campaign Organisation which cast aspersions on the emergence of His Excellency Atiku Abubakar as the Presidential candidate of the Peoples Democratic Party and suggested that his emergence was the result of money politics. “We are not surprised that there is confusion in the President’s camp. We expected that they would be thrown into a catatonic state knowing that HE Atiku Abubabakr’s emergence automatically means the coming end of their ignominious reign. That much was admitted by the President’s former running mate, Pastor Tunde Bakare when he praised the emergence of HE Atiku as an ‘Eagle’ and ‘a cosmopolitan wazobia’ politician. Obviously, Pastor Tunde Bakare has foreseen that the era of 97% versus 5% has come to an end with the emergence of the pan Nigerian Atiku Abubakar. “We ask how can the Buhari Campaign Organisation disparage the PDP Primary that produced His Excellency, Atiku Abubakar, when even the President’s own wife, Aisha Buhari, has condemned the APC’s primary? Not only did Mrs Buhari condemn APC’s primaries, she described them as ‘unfair’ and lacking in integrity. Who can know President Buhari better than his wife? “Eleven aspirants contested against His Excellency, Atiku Abubakar, during the Presidential primary of the PDP. Every single one of them accepted his victory. President Buhari was the only candidate cleared by the APC to contest its primary. Yet, a coalition of 5 aspirants are challenging his victory. That alone tells Nigerians his emergence is fraudulent. “Nigerians know that Atiku Abubakar is the most investigated politician in Nigeria and any smear by the Buhari administration remains just that. With the vindictiveness of President Buhari, he would have arrested HE Abubakar if he had been found wanting. “However, to set the record straight, we want to remind Nigerians that PDP’s primaries were genuine, free and fair. Atiku Abubakar got 1,532 votes in a contest televised live to millions of Nigerians. The All Progressives Congress’ primary, on the other hand, was a study in dictatorship and corruption. The sole candidate, Muhammadu Buhari, scored almost 15 million votes. How could that occur without rigging or manufacturing of faceless voters?